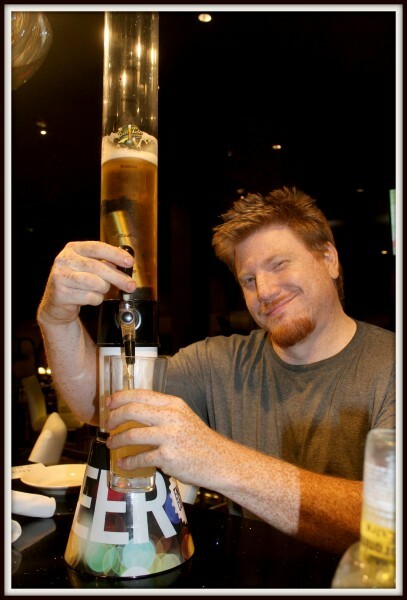 Disclosure: I was invited out to Dave and Buster’s to try out their new summer drinks and menu items. I’ve always heard of Dave & Busters. I knew they were a fun place that catered to adults that had a fun game like atmosphere inside it. 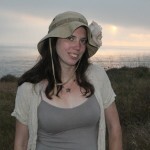 However, for whatever reason, I never made it out that way. So when I was invited it was my chance to see the story behind Dave and Buster’s, learn how it all works, and experience it first hand, and then decide if I’d be heading back. The story of how Dave and Buster’s came to be. This story was told to me by awesome general manager “Ralph Norwood” at the Orange, CA location. As these two restaurants were taking off in Texas, Dave and Buster realized that in between visits to the two restaurants, people would often stop to play games in between so they thought “why not combine those two things into one.” And lo and behold “Dave and Buster’s” was born. One thing I love about this drink is how the rim is coated in green sugar to give it that watermelon feel. The ice cubes are also shaped like watermelon, but are indeed, ice cubes. Drinks consists of: Margaritaville Tequila Gold, DeKuyper Watermelon Pucker, Finest Call Watermelon Puree, and Minute Maid Lemonade. When this drink first came out the first thing I really noticed were all the little bits of ice that were a part of this drink and why it’s coined “Miami Ice.” Not being a big “ice” fan I wasn’t sure if I’d like it, but this ended up being the first drink I completely finished. Exactly like a sno-cone! What’s not to love? Made of: Skyy Infusions Coconut Vodka and Malibu Coconut Rum mixed with Minute Maid Lemonade and Bacardi Strawberry Premium Mixer. It made for a tasty drink. 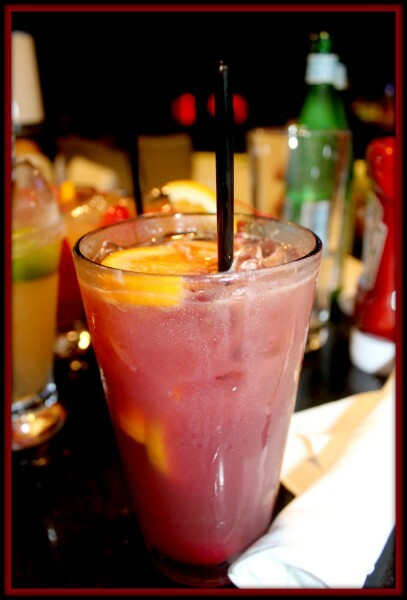 And nothing says summer like Sangria’s. 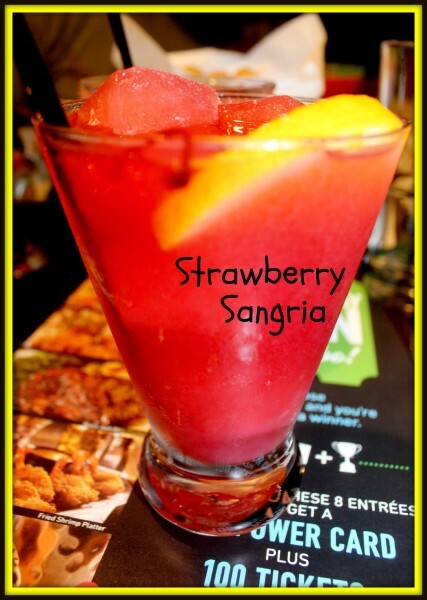 This Strawberry Sangria is no exception. 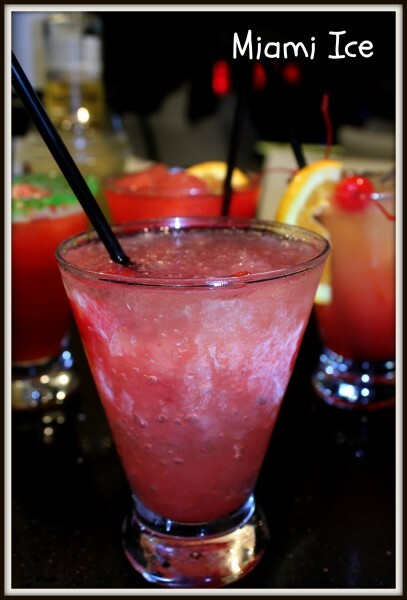 A combination of Cruzan Strawberry Rum, Canyon Road White Zinfandel, and Bacardi Strawberry Premium Mixer poured over Strawberry flavored ice cubes and topped with a splash of club soda. That evening they also brought a Red Sangria to fit the Summer Theme. They also have a White Peach Sangria on the menu. 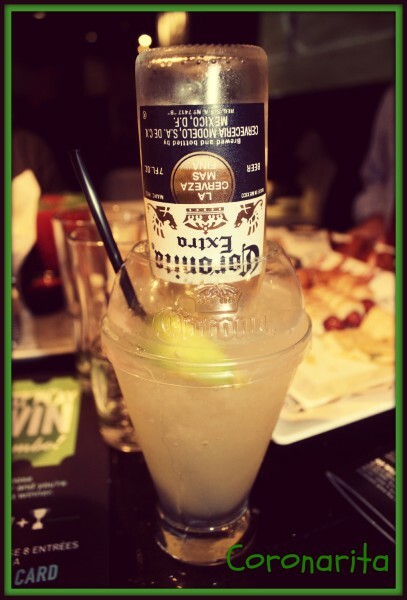 With such a fun name of “Walk the Plank” of course, Captain Morgan is involved. 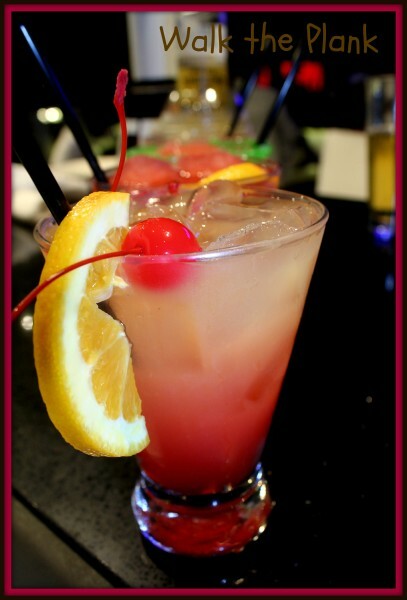 This drink was created by the Irvine Mixologist includes: Captain Morgan Original Spiced Rum, Malibu Coconut Rum, Peach Schnapps, Pineapple Juice, Orange Juice, and Pomegranate syrup. These drinks are very fun, and very fruity. 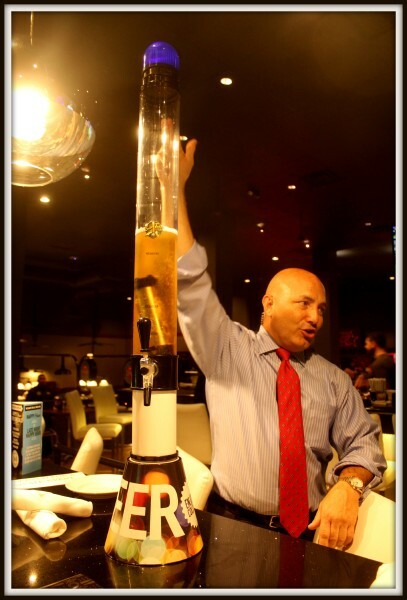 For those that may not necessarily like these kind of drinks, have no fear, Dave and Buster’s has you covered. 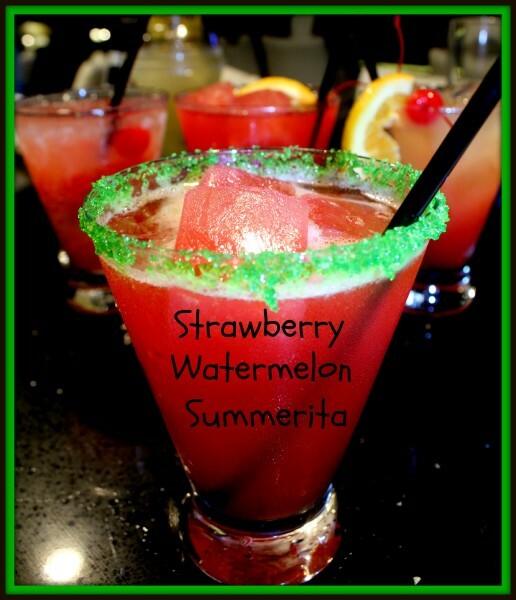 Just some of the new drinks being showcased at Dave and Buster’s this summer. Anyone up for a night out in the next few weeks? 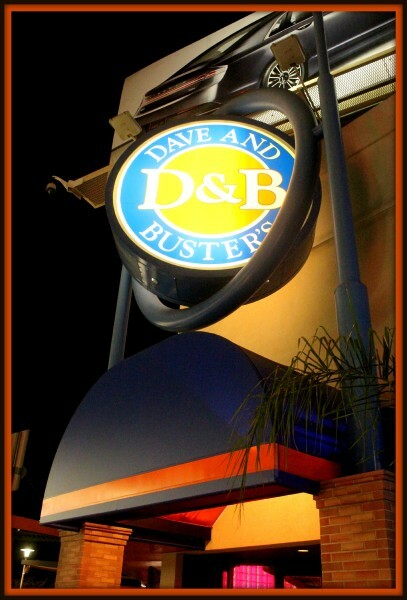 Next week we will be exploring some of the food options available at Dave and Busters. And the following week, some of the games. 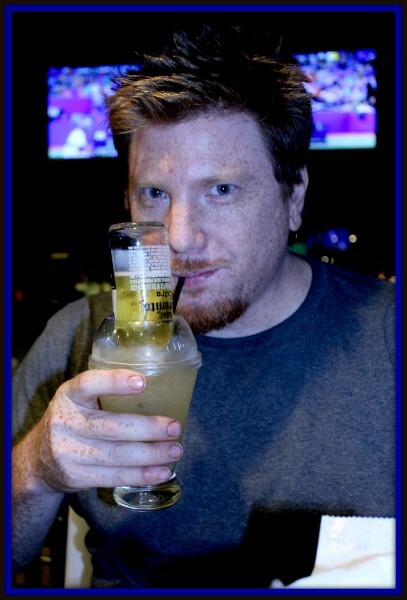 Disclosure: I was invited out for a night at Dave and Busters to try out their new summer drinks, menu items, and games.